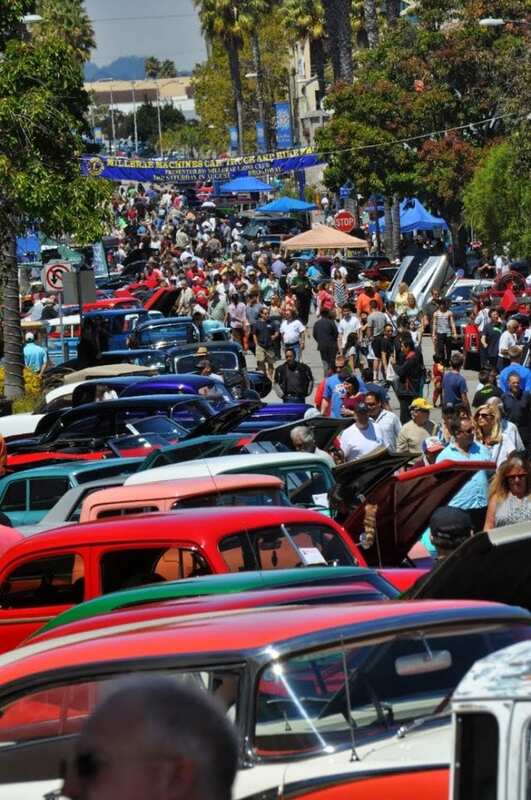 Millbrae Machines Car, Truck, and Motorcycle Show is a community event that is hosted by the Millbrae Lions Club. It’s an annual event featuring over 250 amazing vehicles. The event is held in downtown Millbrae on Broadway. Every year the street is closed and the cars take over transforming a quiet little town into an action-packed car enthusiast paradise! Here are a couple of recent winners. Lions volunteers come together to spend nearly 900 man hours of show prep, set up and execution. Lion’s cook and serve an amazing breakfast for the participants and spectators of the event, direct traffic, man raffle and registration booths. Event features music and entertainment, vendor booths, community organization involvement for Leo’s Club, Boy Scout Troop 355, Cub Scouts, Millbrae Cert, San Mateo County Sheriff's Department, and many more. There is an incredible raffle with a variety of prizes. The event is surrounded by so many restaurants and Millbrae businesses that help to make the show the huge success that it has become. 16 Mile House, Millbrae Jewelers, Millbrae Square Co., Pape Meat to name a few. See some of our event and awards sponsors here. All proceeds raised at the event are redistributed throughout Millbrae through the various youth and community activities that the Lions support. These include, child finger printing, eye and hearing programs, scholarships and fundraisers for schools and countless other programs. It truly is a fun filled day for the whole family!! Admission is free to the public!! Registration is limited to 300 entries and special swag bags are for Early Bird registrations submitted before August 6. As a show entrant, you can also order special show shirts and extra meal tickets. ..after making your selections, click the Submit Your Show Entry button. You'll be able to complete your payment, and receive your entry confirmation safely and securely online. 1. Tell us about you and your business. We'll feature you in the new Sponsors Showcase here on our site and in the other promotional info we share with the community. 2. Choose the type(s) of sponsorships you prefer, and the level of sponsorship at which you'd like to contribute. For instance, you sponsor the event at any one of four levels and also sponsor awards at either or both of the award sponsorship levels. Here's a quick look at the Millbrae Machines Sponsorship categories and their levels. We have a selection of great videos for you featuring a Best In Show winner, a vintage car restorer, and our first record setting year.